Gabriella joined our practice in June 2013 as a dental assistant. She loves her job and is passionate about teaching patients on having excellent oral hygiene. She grew up in Centreville, VA . Gabriella is a part time student at George Mason University and will be graduating in 2019 with Bachelor Degree in Accountant. Gabriella enjoys reading, walking, playing video games and spending time with family and friends. 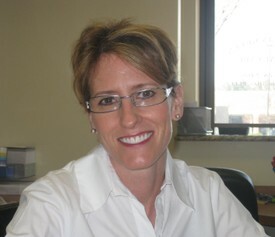 Melanie has been an experienced dental hygienist for more than 20 years. 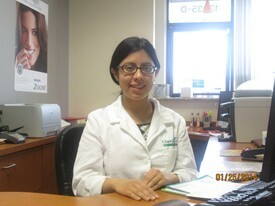 She joined Chantilly Green Dental Care in September 2011. Melanie grew-up in Chantilly and was a dental assistant for many years prior to getting her dental hygiene degree (RDH) from NVCC in 1997. She moved to Florida after graduating and worked for a family practice before moving back to Northern Virginia in 2011. Melanie enjoys the outdoors, working out, running and spending time with her two daughters. Jane is originally from Philippines, but has lived in the United States for most of her life. 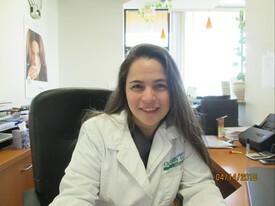 She joined our practice with 20 years of experience in the dental field. When not at work, she volunteers with a non-profit organization focused on our elderly in the community, caring, and creating activities for them in retirement, nursing homes and rehab centers. She has a love for music, singing and dancing and the outdoors. Jane speaks fluent English and Tagalog. Angie has been in dental field for the past 15 years. She is working full time at another dental office and helping dr. KOH at our office only on Mondays. Angie brings in smiles to our office and everyone loves to talk to her. Angie loves to spend time with her two children at her free time. She Is a very hard working person, pursuing her Dental Hygiene degree as part time student at NOVA while working 2 jobs. Theresa moved here for New York in 2008. Lori has been working in the dental field since 2007, and loves to interact with our patients and make the dental experience as great as possible. She enjoys traveling, road trips and spending time with her family. Kelly recently joined our practices as certified Dental Assistant. Kelly has 3 years of dental assisting and is a student at NOVA community college. Kelly is trying to pursue Business degree in George Mason next semester. Kelly is a hard working person and very reliable. Kelly can also help us to translate Spanish / English for some patients. Kelly is in a singing band for her church. Her hobby is hiking/ shopping/ reading.